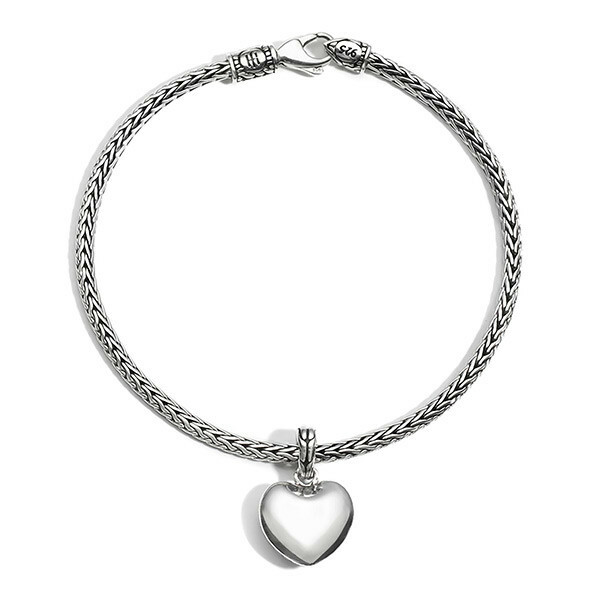 Give her a small token of love with this lovely John Hardy bracelet from the Classic Chain collection. A small sterling silver heart floats along the handwoven classic chain, and a lobster clasp with a classic chain cuff on either side keeps the piece stylishly in place. How could she not love a John Hardy bracelet?